Portland, OR. 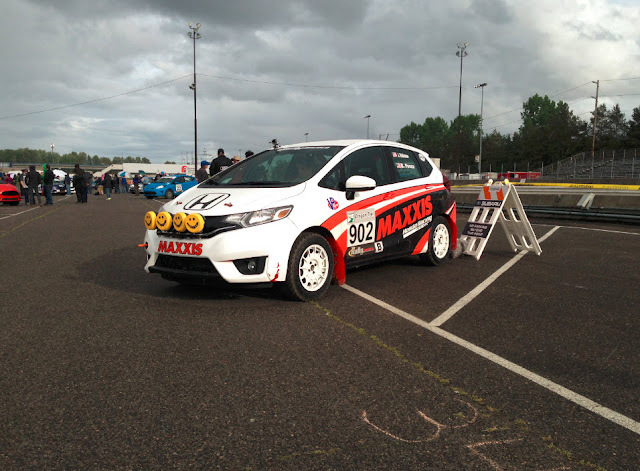 (Apr 24-26, 2015) – Maxxis renewed its partnership with Honda Performance Development to showcase the brand new 2015 B-Spec Fit developed specifically for Rally competition at the Oregon Trail Rally, the third round of the 2015 Rally America National Championship. The Maxxis/HPD Rally Team had already built up an impressive pair of B-Spec wins as well as a pair of overall 2WD podiums in the first two rounds of the 2015 National Championship. Moving into the third round, the team’s main goal was to keep the momentum going by capturing another B-Spec win and finishing as high as possible in the 2WD field. For the notoriously fast Oregon Trail Rally, several very high horsepower 2WD cars were present, in addition to B-Spec competitors in the Toyota Yaris. “Having former three-time 2WD National Champ Chris Duplessis here in a turbo Subaru BRZ, along with a pair of race-prepared Ford Fiesta STs and a Ford Fiesta R2, is going to make finishing on the 2WD podium very difficult,” Robinson commented prior to the Rally start. 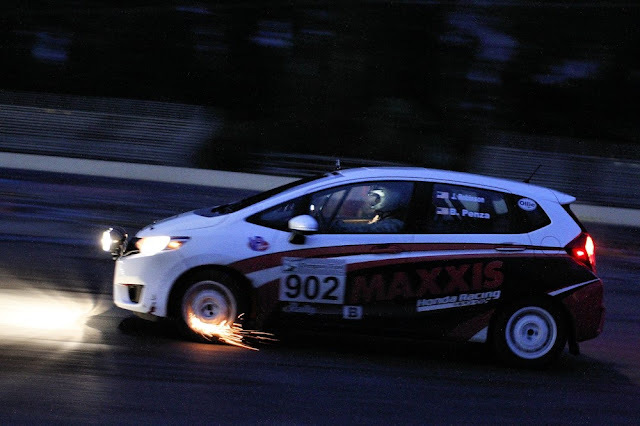 By the end of the Day Two, the Fit had actually moved up to 2nd in 2WD and had built up a 17-minute lead over the second-place B-Spec Toyota Yaris. The team finished the event and returned to the Main Time Control to find out that the 2015 B-Spec Honda Fit had not only set the third-fastest 2WD time on the final stage, but also had added another 30 seconds to its lead over the Ford Fiesta ST, meaning that the B-Spec car not only finished first in B-Spec, but also collected another 2WD second-place finish! “We’re shocked that we were able to get this finish for the second time this year, and very thankful that we were able to run a completely clean race without mechanical issues,” Robinson said. “Due to the reliability of our car and setup, we were able to get ourselves back on the overall 2WD podium, which is a huge benefit to Honda for manufacturers’ points. Look for the Honda Fit on display at the 2015 Grand Prix of Indianapolis, and in action at the fifth round of the Rally America National Championship in Pennsylvania! 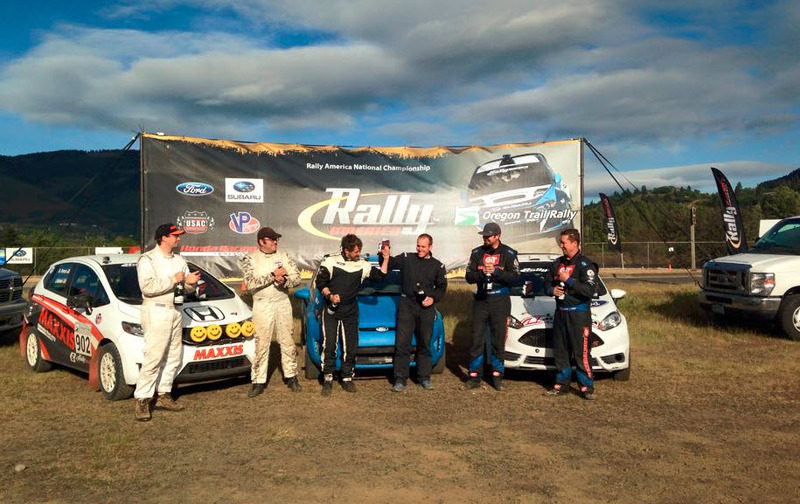 The third race on the Rally America National Championship schedule, Oregon Trail is the only three-day rally event in the Championship, taking place in urban Portland, OR and through the Mt. Hood farmlands outside the city. 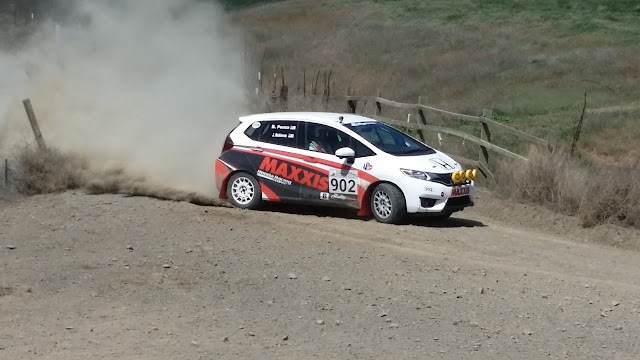 With fast stretches and twisting foothill runs, this rally is always packed with excitement. This rally offers fans the best rally viewing opportunities, due to its accessibility and wide-open, unobstructed areas.